ItemC-04975 - Unidentified group in the Yukon. Item C-04911 - Logging cam dining room; believed to be either Myrtle Point or Franklin Creek. 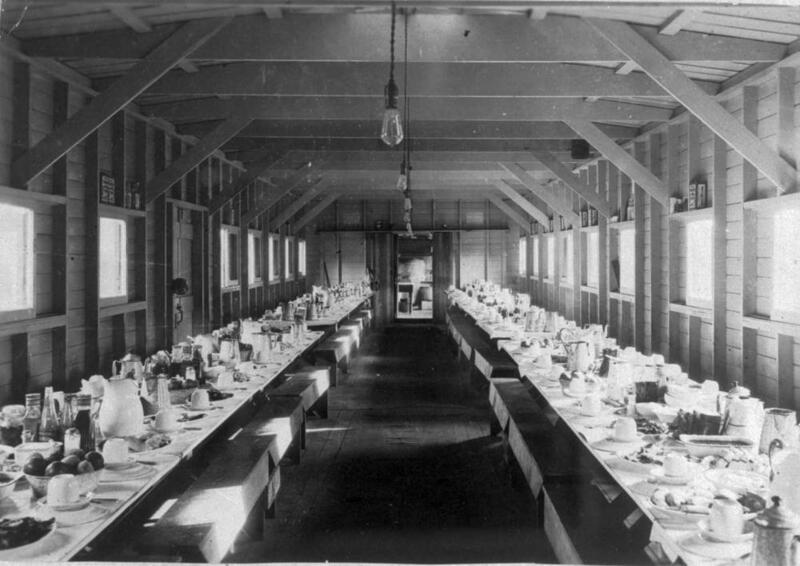 Logging cam dining room; believed to be either Myrtle Point or Franklin Creek.